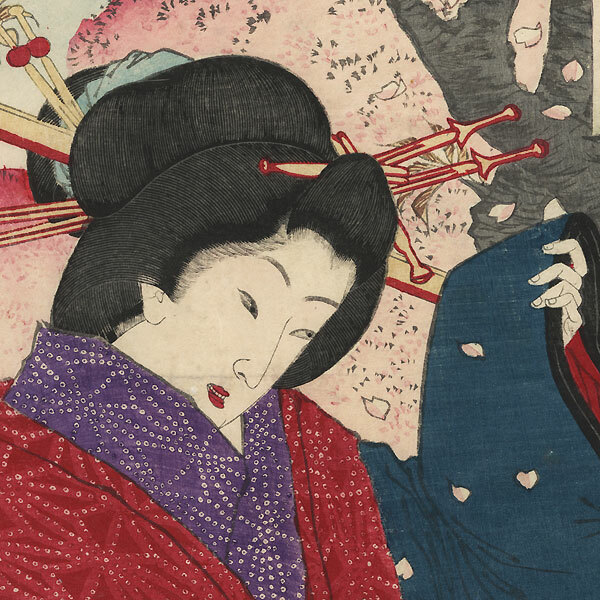 Yoshitoshi's Pride of Tokyo's Twelve Months - Beautiful portrait from Yoshitoshi's series "Pride of Tokyo's Twelve Months." 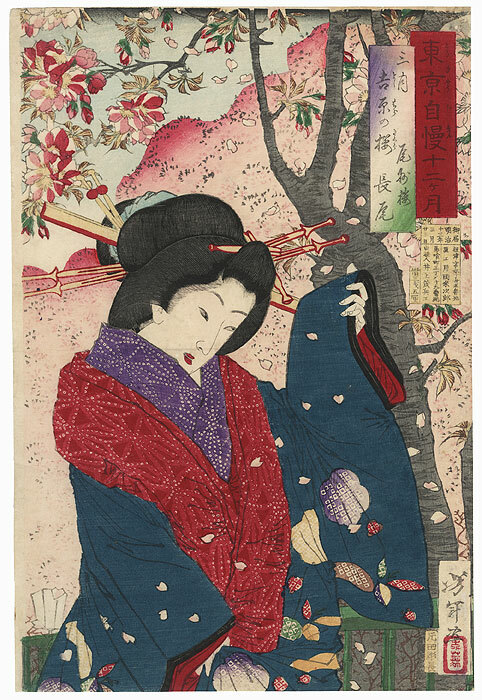 Each print features a noted beauty involved in a different activity associated with the month. These lovely designs portray women in scenes from daily life, highlighting seasonal celebrations and the beauty of nature throughout the year. Detailed with fine line work in the hair and soft shading, some prints also include deluxe printing techniques such as burnishing or embossing. 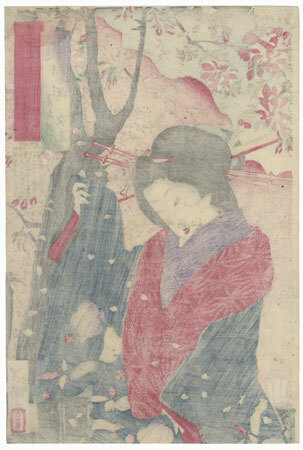 A fine complement to Yoshitoshi's more commonly found bijin designs. Condition - This print with excellent color and detail as shown. Horizontal centerfold. A few small wormholes, repaired. Slight soiling, a few creases. Please see photos for details. Good overall.